If the weather never got any colder I would be a happy camper. 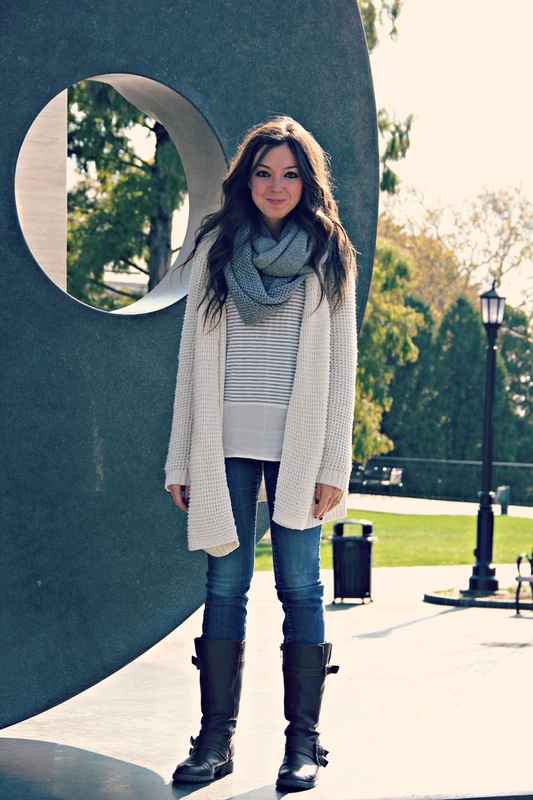 I could wear a great pair of boots, a chunky sweater, and a cozy scarf every day. 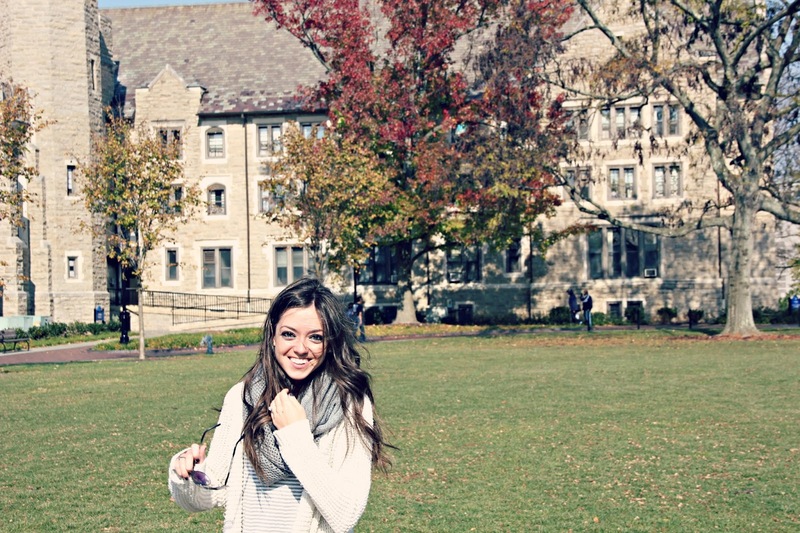 I took advantage of being on the beautiful Villanova University campus to take these pictures! I'm so glad I did. Villanova in the Fall is absolutely gorgeous. What a perfect fall sweater! I looks beautiful and would be great with a dress and tights.